However, due to its legal status and the difficulty in getting research funding for cannabis-related studies, much of how cannabis works as a painkiller is not understood. Therefore, a lot of the reasons why cannabis might work for pain is not known precisely – much of it is conjecture and supposition, based upon whatever available evidence we have at the moment. Soft tissue pain – caused by damaged or inflamed organs, muscles or tissues. Neuropathic/nerve pain – pain caused by damaged nerves. Those suffering from cancer, diabetes, HIV/AIDS, multiple sclerosis (MS) and many other conditions that affect the nervous system, spinal cord and brain can cause a condition known as “peripheral neuropathy”. Bone pain – aching bones across the body or in a region of the body. Can be a sign of cancer affecting and spreading to the bones. 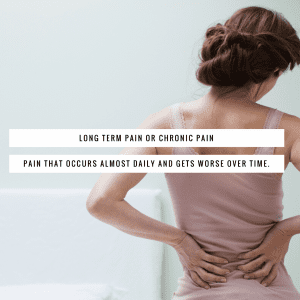 Breakthrough pain – pain that occurs in between regular, scheduled painkillers. Referred pain – when pain is emanating from one part of the body, but is felt in another part of the body. 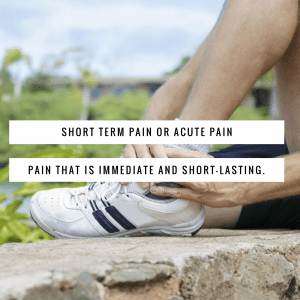 Phantom pain – pain in a part of a body that’s been removed. “Total pain” – a concept developed by Cicely Saunders, founder of the modern hospice movement. Total pain includes the combination of physical, psychological, social and spiritual pain. 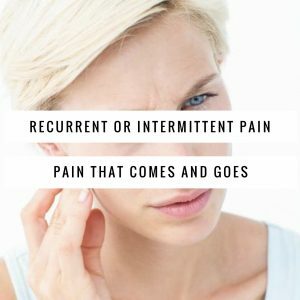 Anxiety, depression, stress, lack of sleep, decreased appetite and emotional turmoil are all also associated with pain, and can often make physical pain worse. Cannabis, unlike many other medications, may be able to help beat many different kinds of pain. How Does Cannabis Work to Reduce Pain? Regulating nociceptor (receptors in the body responsible for detecting pain) thresholds. Both THC and CBD can help control the pain signals received by nociceptors. CB1 receptors are involved in the attenuation of synaptic transmission. Inhibiting the release of pro-inflammatory factors by non-neuronal cells. CB2 receptors are said to be responsible for this. Indirectly stimulating μ-opioid and δ-opioid receptors. Regulating the endocannabinoid system – which is connected to regulating pain, reward, memory, appetite and more – and promoting homeostasis. Acting on both nervous and non-nervous tissue, making cannabis potentially effective for controlling neuropathic pain as well as other types of pain – something opioids cannot do. Pain Killer or Pain “Distractor”? In a brain imaging study carried out by researchers at Oxford University, 12 participants were given 15 mg THC tablets or a placebo, to see if THC would lessen the pain from a cream containing capsaicin – the ingredient in chilli that causes a hot, burning and painful sensation. Non-painful, “dummy” creams were also used as a control. Each participant was given 4 MRI scans. The results? 6 out of 12 participants reported a clear change in how much the pain bothered them. The burning sensation didn’t lessen, but the THC tablets seemed to bother them less. The brain imaging results showed a suppression of activity in the mid-cingulate cortex, which has been implicated in the emotional aspects of pain. The right amygdala also showed changes in activity, which correlated with the lessening of the pain after using THC. There’s another interesting piece of information arising from this study: researchers found that the strength of the connection between an individual’s right amygdala and a part of the cortex known as the primary sensorimotor area – the main receptive area of the brain responsible for the sensation of touch. This suggests that we may one day be able to figure out for whom cannabis would be an effective painkiller and for whom it would not. This helps explain why, for some people, cannabis may well increase their sensitivity to pain, or why using small amounts decreases pain in some individuals, but increases pain sensation at higher doses. Needless to say, the efficacy of cannabis as a painkiller is not fully known, and what may work for one person may not work for another. Another thing to remember is that this study also only looked at THC in isolation, meaning that other cannabinoids and terpenoids were not looked at. Cannabis contains hundreds of cannabinoids, of which two are in greater abundance than the others (and therefore most commonly studied): tetrahydrocannabinol (THC) and cannabidiol (CBD). Both of these work on CB1 and CB2 receptors, directly or indirectly. CB1 receptors are found in the central nervous system (CNS), lungs, liver and kidneys; CB2 receptors are found in the peripheral nervous system (PNS), and are expressed in immune and hematopoietic cells. THC is said to work on the CB1 receptors (and one of the reasons why it is said to have a psychoactive effect), whereas CBD is said to work on CB2 receptors. This idea, however, is being put to question. Much of the research on CBD’s effects on humans shows that, though the affinity between CBD and CB1 and CB2 receptors is low, it affects both, and seems to antagonize CB1 and CB2 agonists. CBD seems to work as a non-competitive inverse agonist, blocking the ability of agonists to activate CB1 and CB2 receptors. THC has a high affinity for both CB1 and CB2 receptors. There are other, more minor cannabinoids that may also have painkilling properties. Cannabigerol (CBG) is one such cannabinoid. Unfortunately, these cannabinoids are not usually found in abundance in cannabis plants, making them more difficult to synthesize and study at the moment. However, it is very likely that these contribute just as much to the entourage effect as THC and CBD do when working together. Often forgotten, yet terpenoids are just as important as cannabinoids, and they interact in all sorts of interesting ways. After all, terpenoids can affect the way cannabinoids behave, even when the cannabinoids are of equal concentration. This means that a 1:1 THC:CBD ratio where the main terpenes are myrcene and linalool are going to have quite different effects in comparison to a 1:1 THC:CBD ratio with limonene and pinene. Terpenes also have painkilling properties of their own. The aforementioned myrcene and linalool are both analgesics, whilst terpenes like caryophyllene functions as anti-inflammatories. The mood-elevating effects of terpenes like limonene may help beat depression, which may also help beat pain. Serotonin receptors – in particular 5-Hydroxytryptamine receptor, subtype 1A (5HT1A), which binds serotonin. Other subtypes of 5HT receptors have also been implicated in controlling pain. 5GT7 receptor agonists and 5HT2A and 5HT3 antagonists may be of particular use for managing pain as well. SSRIs also affect serotonin receptors, which is why antidepressants are often used to manage pain as well. Adenosine receptors – adenosine receptors play a role in the release of the neurotransmitters dopamine and glutamate.Targeting adenosine receptors is what may make cannabis useful for neuropathic pain. Vanilloid receptors – Transient Receptor Potential Cation Channel Subfamily V member 1 (TRPV1) plays a part in the mediation of inflammation, pain perception and body temperature. Inhibiting this receptor may help reduce pain, as CBD “blocks” or “occupies” the area/s pain signals are being sent to. Smoking – although cannabis smoke and tobacco smoke are quite different (one big difference is that cannabis doesn’t contain nicotine), people may be wary of inhaling any type of smoke. Yet, smoking cannabis is still quite popular amongst many medical marijuana users. Why? The effects can be felt immediately, it’s relatively simple to control the amount you use each time, and yes, many people simply enjoy the hands-on process of sitting down and rolling their own. The negatives? Smoking cannabis might not be the ideal route of administration for most patients (i.e. they cannot and/or should not smoke), and the precise effects of inhaling cannabis smoke are not fully understood yet. Vaporizing – like with smoking, vaporizing can bring immediate relief – without the smoke! 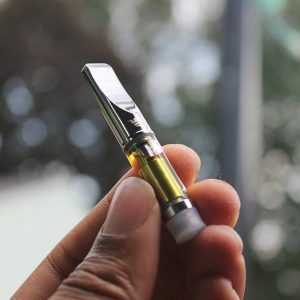 Vaporizing also has the advantage of being easy to titrate as well, as it is entirely possible to take the amount you need to find relief and then just store it away until you need it again. However, the long-term health effects of vaporizing cannabis are not known as of yet, and for some people vaporizing is simply ineffective. It is also worth being wary of the quality of vaporizers – a bad one may mean melting plastic, metal filings and broken parts, all of which can potentially cause some serious health problems. Edibles – many people who suffer from chronic pain seem to find relief from edibles, likely due to the powerful, long-lasting effects. Edibles are also perhaps one of the most economical ways of using cannabis. The problems? Effective titration, the lack of regulation and standardization concerning edibles (many aren’t tested and appropriately labelled), and the fact that even small amounts can be overwhelming for some. Edibles can also take some time to take effect, so may not be ideal for immediate pain relief. Tinctures/sprays – tinctures usually have similar effects to edibles, with the effects tending to come on quicker. The dropper also tends to make titration easier, and getting a hold of the right tincture is arguably more reliable than getting a hold of the right edible. There’s also the advantage of being non-descript – tinctures don’t tend to smell as strongly as huge clouds of vapor or smoke, and a few drops can easily be put into your coffee. Many tinctures are also whole plant extracts, which means all the cannabinoids and terpenes remain in the product. The disadvantages? There can be a thin line between “pain relief” and “overwhelming”, and for people extremely sensitive to, say, THC, even a slightly higher dose may prove to be a problem. However, this is generally rare, and a well-made tincture is probably one of the best ways of utilizing cannabis as a medicine. Dabs/dabbing – oils, waxes and concentrates tend to be extremely high in THC and/or CBD. Now, whilst this may be useful for fast, strong pain relief, it is probably not ideal for beginners. Concentrates may also be stripped of other terpenes, meaning that some of the medical benefits of cannabis may be lost. Euphoria, relaxation, pain-free, chatty/sociable, sleepy, hungry, anxiety-free … There are all sorts of positive side-effects of medical marijuana, depending on the strain you use and the effect you’re looking for. Some people are just looking for relief without the psychoactive effects during the day, but may prefer some sort of psychoactive effect when they’re trying to get to sleep at night, want to socialize with friends & family, or want a distraction away from their pain. Of course, for some, being sleepy may not be ideal, especially if work or fun needs to be done! Taking too much may cause one to “go green” or “whitey”, and may make a person nauseous and vomit. There’s another, oft-relegated issue: taking some may reduce your pain, whilst taking more may increase your pain and/or anxiety! This can make effective dosing difficult, which is why trying several different products/strains and taking it slow-and-low is so important. Try different methods of ingestion as well, to see what works best for you. Another issue is one we’ve already mentioned above: that, for some people, ingesting any amount of cannabis may actually increase their sensitivity to pain. This can be made even more complicated by the fact that cannabis may interact negatively with other prescribed painkillers, like benzodiazepines and opioids (even though it can also reduce intake in many instances). Sadly, it will be difficult to look at cannabis-prescription drug interactions properly until cannabis becomes federally legal and research funding becomes less difficult to come by. 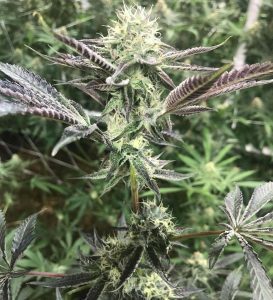 Cannabis’s biochemical complexity, on top of the fact that everyone’s ECS is different, means that its ability to control and manage pain is difficult to pinpoint accurately, especially considering all the variables. One particular strain or product might make one person pain-free, whilst another person’s pain might be exacerbated by using the same strain or product. This is why, if you’re trying to manage your pain with medical marijuana, it is best to try several different products and strains, and go “low and slow” (i.e. try a little bit at a time).